The last ride on the Breezer Inversion Team before it’s return trip to the Breezer mother ship was just a noodle around town, a stretch of the legs before honey-do’s consumed my day. I recalled the previous night where I had been e-scouting a three day route for an industry friend. He was looking to do one of those ‘invite the press for a friendly, 300 mile, multi day ramble on someone else’s cool bikes’ deals. 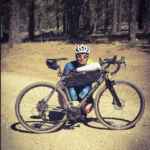 It would consist of some big mileage days with a mix of pavement and dirt roads, a few long climbs, and would be in remote areas where the roads might not be all that smooth. It got me thinking that the Inversion Team would be a very good bike for a ride like that. SoCal. A Breezer Inversion Team. Looks like a great day. I would ride this bike for a 100 mile day as long as I did not need to worry about echelons and chase groups and Strava KOMs. I could pack it light with bags or racks or a combo of both and bikepack off it. I could commute. I could wander. I could explore. I could get out there, even when the pavement ended. And I would be doing it on a comfortable, decently perky, very practical, and not too costly scoot. If this is All Road, I see the attraction.. The Inversion Team has a pretty nice ride, much of it compliments of the decent fork it comes with. ▪ “Ah, suppleness…I have missed you.” This is a nice riding bike and the steel quality is apparent from the start. The fork is also not so overbuilt as to kill the front end’s compliance. You can see the ‘give’ in the fork and frame by pressing down hard on the handlebar or bouncing in the pedals while keeping an eye on the fork tips. Many bikes with carbon forks just are resolute in this regard. My concern for chattering fork blades under hard braking never materialized. I suspect that much of the compliance is coming from a frame that is willing to give a bit under the leverage of the fork as you ride. Whatever it is, this is a comfortable bike, even with the smaller tires than my normal 42s and no flexing stem and Ti seat post. ▪ I did run it with some WTB 650Bx47 Horizons and it worked well, adding comfort with only a bit less pace and accuracy on the road. There is not a lot of extra room with those 47s, but it works and is a viable option. ▪ I did hit my left heel on the chain stay as that foot turns toes out more than the right one. Annoying. However, I suspect that many riders will never have that issue. ▪ I was always pleased with the out of the saddle pedaling response of that steel frame. I know we tend to focus on bike weight, often to our detriment. What we should be paying attention to is how much the bike is giving back to us as we ride; how much we are smiling. 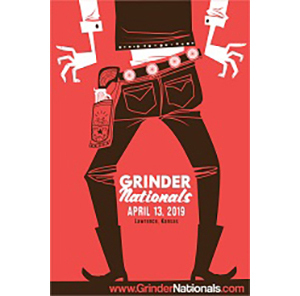 Yes, you know you are on a 23 pound bike with a 34mm tire and average wheels, but darn it, I still got out of the saddle and grinned when I clicked into a bigger cog. Nice steel is like that. I never felt a hint of noodly-ness either, although Mark Cavendish has nothing to worry about from my sprinting ability. ▪ The gearing is either perfect or awful, depending on how you will use it. But for an All Road approach, 1:1 is pretty solid as a low gear and a 50×11 is sure tall enough. Shifting was typical Shimano Ultegra which is to say pretty much perfect. 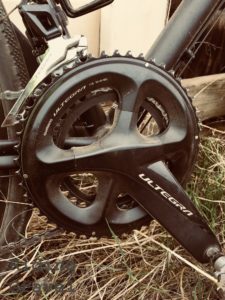 If one was going bikepacking/light touring, then fitting a more compact crank would be a smart move. The gearing is pretty much spot on here. ▪ It’s a very practical bike, is it not? 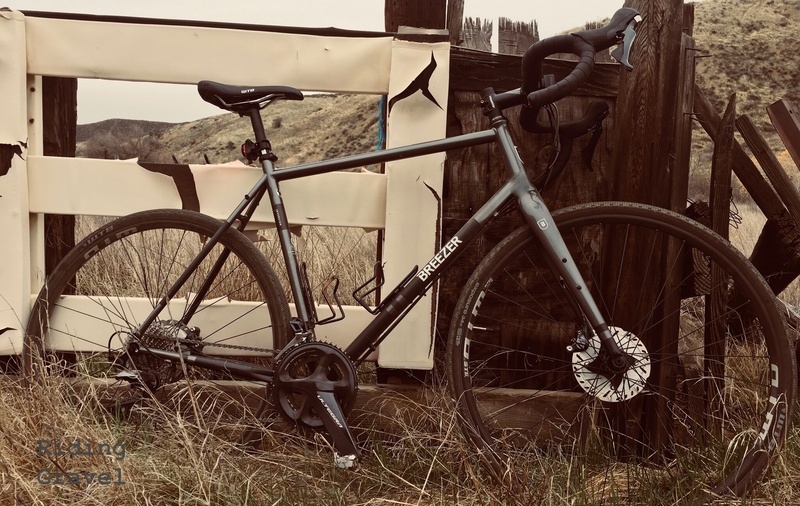 Lot’s of braze ons for racks, fenders, fork mounts, triple water bottle mounts (on larger frames), long, low, and stable geometry, and room for big tires. ▪ I have to compare it to the Ritchey Outback that I reviewed last year. Compared to the Outback, the Inversion Team is more full featured with all the bits and bobbins for racks, etc. It also has more stack than the Outback so the fit is easier to get the bars up a bit, but not in the crazy way something like a Diverge forces you to do. I would not want to choose which bike rides better or is faster or whatever, but the Outback still has more of a roadster feel to me where the Inversion Team is, well, not really stodgy, but perhaps more respectable. The Outback is a bachelor and rents. The Inversion has a wife and mortgage but still goes dancing when the music comes on. ▪ I let my buddy JeffJ ride the Inversion Team. He is 6’4” and about 260 lbs when he is in shape which is not now. He likes a bit of a short reach to his fit so the XL Breezer fit him pretty well. I would have bumped up to a 100mm stem and called it good although he likely could ride the XXL size too. He liked it very much and for him the 2-3 pound weight gain over a typical road bike with discs (in his size bike) mattered less than the stout wheels, generous tires, and long and low geometry that works so well for bigger folks. 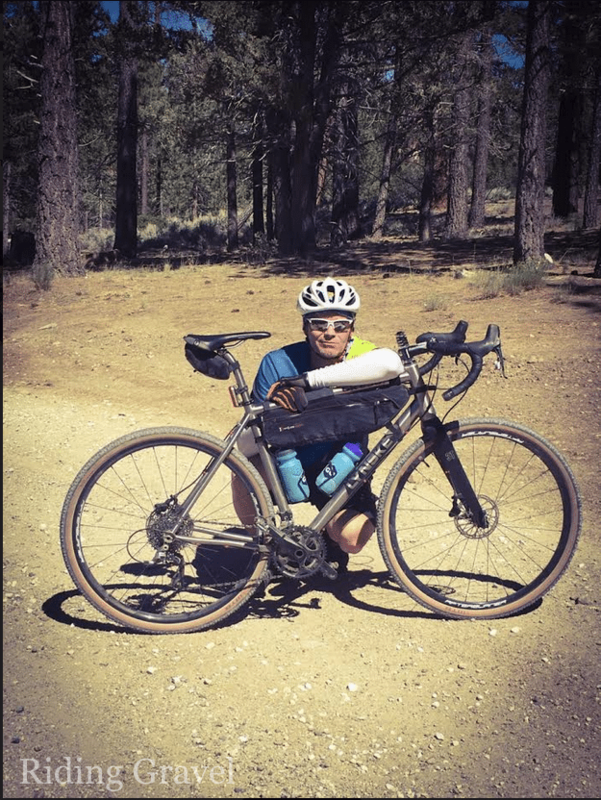 At The Finish: Final thoughts on All Road as a ‘thing’: I like this bike although I would not buy it for my cycling lifestyle. It is not aggressive enough for heavy dirt use on our So Cal crummy fire roads (tire size limits…no 650Bx50 and barely room for fat 42s) and for me, a road bike needs to be more in the pure road sense with a slimmer build and less weight. But, there are a LOT of folks who should be riding a bike like this over a typical road bike with oversized carbon ‘tubes’ and narrow tires. And many do not need anything bigger than a good 38mm or 40mm tire for their brand of dirt roads. Likely you know who you are. For me, All Road also is a bit of a Spork approach and I prefer two bikes that are very specific and very good for what I want them to do. 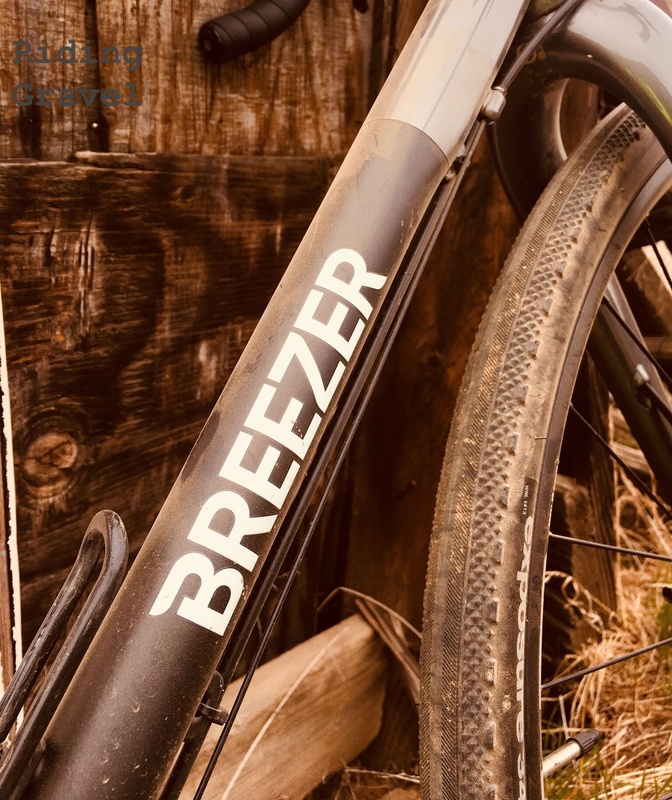 But for many, All Road is the perfect way to go with one bike and two wheel sets and if that is you, the Breezer Inversion Team is one to consider. NOTE: Breezer Bikes sent over the Inversion Team at no cost to Riding Gravel for test and review. We were not paid, nor bribed, for this review and we always strive to give our honest thoughts and opinions throughout. So pleased to see this review. I have the Breezer Inversion Team. I love this bike. I live in SoCal and have been riding it on MTB trails, gravel roads and road. Just recently, I made it a big tire (32mm TR Hutchenson Sector) road bike. This says a lot, since my road bike without disc brakes is a Ritchey Road Logic. 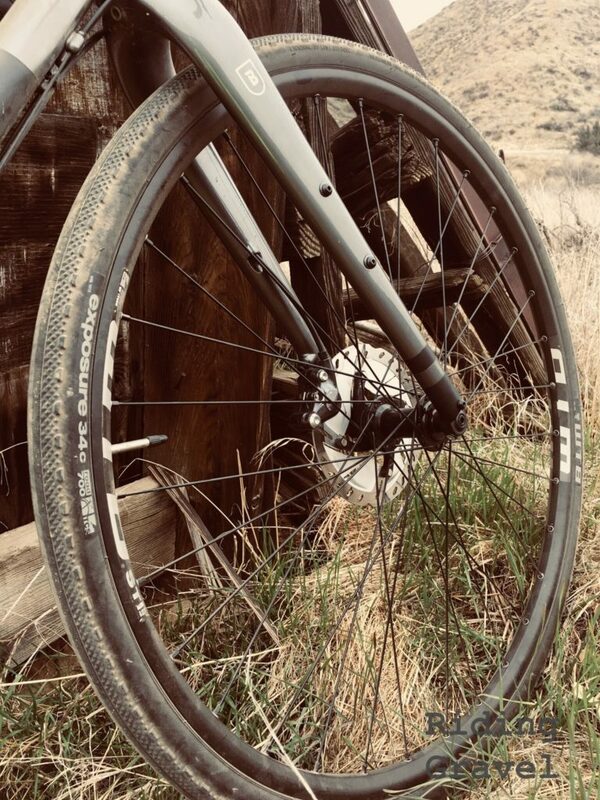 I’ve left the gravel duties to my Lynskey GR260 titanium, with new Reynolds AR carbon wheels. Though, I first put those new carbon wheels on the Breezer–something about the geometry I love. Still a Ritchey fan, though. Thanks for listening. @Marcee…we have a lot in common. So Cal. I owned a Road Logic (geometry did not agree with me, but sweet bike). Lynskey GR bike. Ritchey fan. @grannygear — thanks, so nice to know my sensibilities have company.